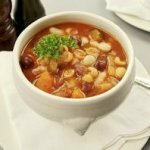 This Minestrone recipe will make an immensely satisfying and filling soup that costs very little. 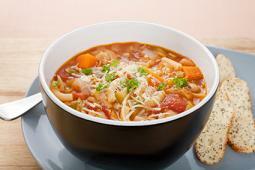 This Italian Minestrone soup recipe is easy to make, low in calories and fat. This easy recipe is very versatile; vegetables can be substituted for whatever you have available. 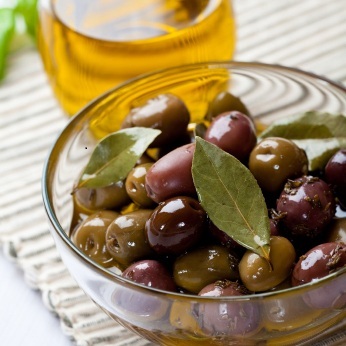 Recipe Nutritional Profile: Healthy Weight, Heart Healthy, High Fiber, Low Calories, Low Cholesterol, Low GI, Low Saturated Fat, Vegetarian, Good Source of Vitamin A and C.
Put the oil into a large pan, pre heat it over a medium heat, add the onion and cook until the onion is clear. Add carrots, leek, celery, garlic, rosemary, bay leaves and cook until the vegetables are just tender (5 min). Add the chopped tomatoes and cook for 1-2 min. Add the stock, cabbage and zucchini, bring it to the boil, cover and simmer for 5 min. Add the pasta and simmer until the pasta is cooked (5-10min). Discharge the bay leaves, add seasoning and ground pepper to taste. 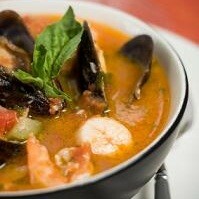 Serve in warm bowls garnished with fresh basil and parmesan cheese (1/2 tbsp per soup bowl).